Spaniards have flocked to an exhibition emphasizing the need to remember Nazi Germany’s crimes. Yet the Right insists that highlighting Franco’s own atrocities will only "open old wounds." “Not too long ago. Not too far away.” Musealia, a company that creates traveling museum exhibitions, in collaboration with the Auschwitz Birkenau State Museum selected this warning as the slogan for its exhibition Auschwitz. The six-hundred-piece display depicts the suffering of prisoners, grapples with the society that enabled the barbarism of the concentration camps, and rejects ideologies based on hatred. The slogan conveys a fear that the world might move on from what happened in Germany and the territories it occupied during World War II. Auschwitz concludes with two videos of interviews with Holocaust survivors, many imploring society to remember their persecution. This final message encapsulates the exhibition’s broader moral: it is dangerous, indeed unacceptable, to neglect to document systematic repression or to choose to look away from a traumatic past. Auschwitz has enjoyed a tremendous public reception since its installation in Madrid in December 2017, the first stop on a fourteen-city tour across Europe and North America. Over five hundred thousand people visited the exhibition in the Spanish capital, along with one hundred thousand students given free entry, leading Musealia to twice extend the exhibition’s closing date, now moved to February 2019. These statistics indicate a desire among madrileños, and other Spaniards, to remember, contemplate and engage with painful historical subjects. Yet Madrid’s appetite for contemplating uncomfortable truths appears rather dependent on the context. Examining immorality beyond Spanish borders is no issue, but as a fiery debate over the legacy of the Franco regime demonstrates, Spaniards seem rather queasier about reckoning with their own country’s history. This past September, as thousands flocked to Auschwitz, Spanish prime minister Pedro Sánchez’s Socialist Party (PSOE) government passed an executive order to exhume the country’s former dictator, Francisco Franco. This meant digging up his corpse from the Valley of the Fallen, a mausoleum built in tribute to Nationalist troops in the wake of the Civil War of 1936–39. The initial announcement, the subsequent debate, and ultimate decision in favor of removing Franco’s remains illuminated long-standing, deep societal divisions about how to memorialize the Civil War and Francoism. When fighting broke out in 1936 between the (pro-Franco) Nationalists and the (antifascist) Republicans, the conflict not only divided Spain but also reflected an international ideological alignment. Fascist and authoritarian states, in particular Nazi Germany, offered assistance to Franco’s forces by bombing Spanish cities. After its ultimate triumph, Franco’s regime continued working with Hitler to repress adversaries, sending his own citizens to Nazi death camps and passing along a list of all Spanish Jews to Heinrich Himmler. Franco’s despotic practices, which lasted until he died in 1975, left at least 150,000 dead, although thousands of bodies are still missing. The democratic transition depended on a carefully orchestrated bid to forget this history. Francoists ran a revisionist campaign to convince Spanish society that “everyone lost the war.” They believed that achieving Europeanization and modernization after the dictatorship required a collective amnesia. Manuel Fraga, a conservative politician who founded Spain’s right-wing People’s Party (PP), sought to sanitize Francoite totalitarianism by highlighting the economic progress under its watch. After Franco’s death, instead of acknowledging the past thirty-six years of dictatorship, in the late 1970s Spain chose silence. Madrid’s city and regional government similarly struggles to accurately define and apologize for Spain’s murky past. In April 2017, the capital’s mayor Manuela Carmena got the city government to approve her plan to change fifty-two street names with Francoist associations. Her idea followed in the spirit of the 2007 Law of Historical Memory, passed by José Luis Rodríguez Zapatero’s PSOE government, which rejected the Pact of Forgetting to formally denounce Franco and demand the removal of Francoist symbols from buildings and public spaces. Carmena’s initiative, met with fierce protest from the Right, especially the National Francisco Franco Federation, forced her to seek permission from Madrid’s Supreme Court to change the street names. The ruling, granted a year later, declared Carmena could go ahead with the renaming, although not all the names were deemed in conflict with the 2007 law. Last January, with Auschwitz on display, the Association for the Recovery of Historical Memory (ARMH) submitted a petition to Paloma Adrados, the president of the Madrid Assembly, to include the names of Republicans from the city imprisoned in Nazi concentration camps as part of the Assembly’s ceremony for International Holocaust Remembrance Day. However, Adrados denied the request. By brushing aside the documented coziness between Francoists and Nazis, she made explicit Spain’s double standard: Spain can dig up other nation’s ghosts to criticize authoritarianism, but Spanish ghosts ought to remain buried forever. 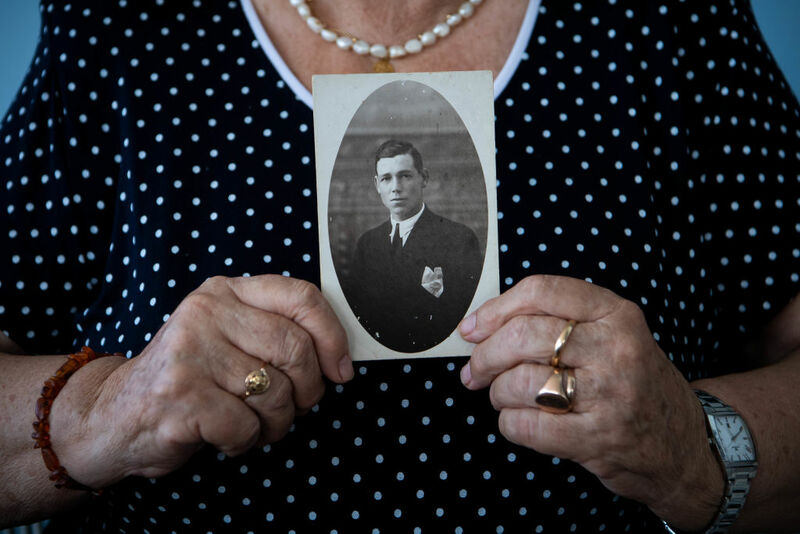 How Spain has treated its own painful past stands in stark contrast with Auschwitz. Luis Ferreiro, Director of Musealia and Auschwitz, explained to me by email that while it was pure coincidence that the exhibition was hosted in Madrid at the same time of the national debate about Franco’s exhumation, the show could offer “a reflection about how to treat traumatic pasts.” By honestly and unabashedly depicting the violence and hatred that occurred, exhibitions such as Auschwitz play a critical role in trying to ensure that these horrors are not repeated. Auschwitz testifies to the power of radically transforming a site of atrocities into a place that recognizes the perpetrators and victims of humanitarian injustices. When, in 1946, the Polish Ministry of Culture and Art dispatched a group of former prisoners to begin converting the concentration camp into a state-run museum, they prioritized not only a presentation of German atrocities but also a collaboration with the Central Committee of Jews in Poland and delegates from the Central Jewish Historical Committee so that the oppressed could tell their own stories. By allowing an interpretation of history told by the persecuted, a symbol of suffering could slowly evolve into one of restitution. Relying on the forced labor of Republicans, anarchists, and other political prisoners to construct the enormous basilica and interring thousands of Republican soldiers without permission from their families, simply reinforced the message that the Valley of the Fallen ought to be seen as a Francoist symbol. The dictator’s own burial there confirmed that the monument serves to glorify his victory more so than repent for death and suffering. Many Spaniards, including Pagès, have proposed that the immense mausoleum be conserved and converted into a true site of national reconciliation. Sanchez’s government has declared its intention to do just that. Removing Franco’s remains is a significant first step in this. And yet it will not rid the association between Franco and the monument. Only a massive investment by Spain to transform the Valley of the Fallen into a museum dedicated to the historical facts, akin to what Poland did at Auschwitz, can allow for a frank recognition of past crimes. Since the transition from dictatorship that began in 1975, Spanish governments and political elites consistently placed their hopes in the idea that the nation could simply accept a black hole within its national consciousness. But as Auschwitz shows, erasure does not resolve painful history. A conscious effort to attach new meaning to places of conflict and sorrow can be a first step in this process. Jonah Hahn is a Michael C. Rockefeller Fellow living in Madrid.